For many, choosing a marquee is an unfamiliar experience. With the unique and personalized guidance of our operational staff, it is our goal to make your event a resounding experience by picking the best marquee that will create an ideal atmosphere and set the right mood. Our head office is in Horsley, Surrey but we also treat North London as a local area as we previously had an office situated in North London for many years. So, if you require marquee hire Berkshire, West Sussex or Hampshire then please contact us at our head office in Surrey. We can create some breathtaking atmospheres for your themed events. With the use of LED bars, themed panels, soft seating combined with mood lighting and linings we have total control over the marquee’s interior feel. How relaxing it would be for your guests if they could experience a night sky, a beautiful yet very realistic illusion without having to worry in the least about the weather outside. Be it a night club atmosphere where you want your guests to dance and enjoy, or an amazing wedding atmosphere consistent and faithful to its colour scheme till the end, we have the ability to make your occasion simply fantastic. If you are bored of using traditional conference rooms and hotels for your corporate events, outdoor marquees can be a perfect solution for many reasons. First would be the easy accessibility. Rather than troubling your attendees in having to find hotels and resorts far out of town, your marquee can be set up in any suitable open ground where everyone can commute with ease and comfort. Secondly, using a marquee would not impart on you the burden of limited space since marquees are very much expandable. 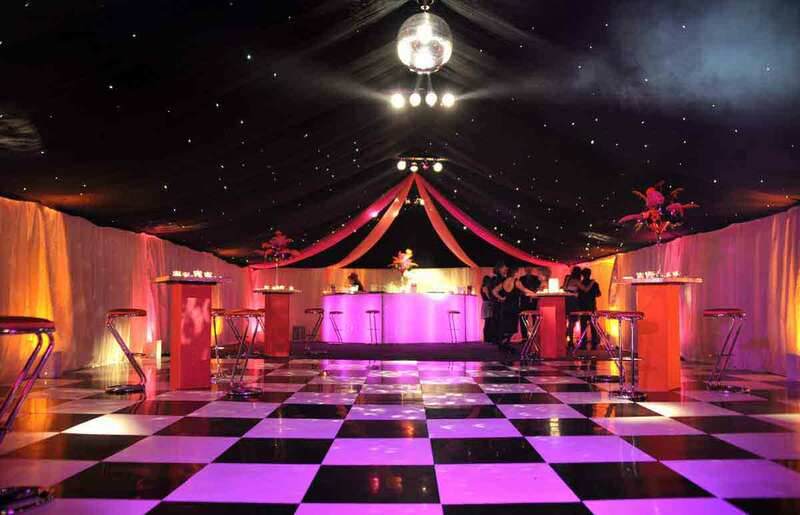 Thirdly, the interior of marquees are highly customisable compared to other venues. Almost all the elements including furniture, lining and banners can be used to create a unique and ideal corporate theme for your event; far more flexible than in a hotel or resort. If you are looking for marquee hire in London, Hertfordshire, Berkshire, West Sussex, you are welcome any time at our head office in Surrey. We guarantee your complete satisfaction in our services. Please browse through our image gallery and testimonials for more information on our high quality marquees and related services.